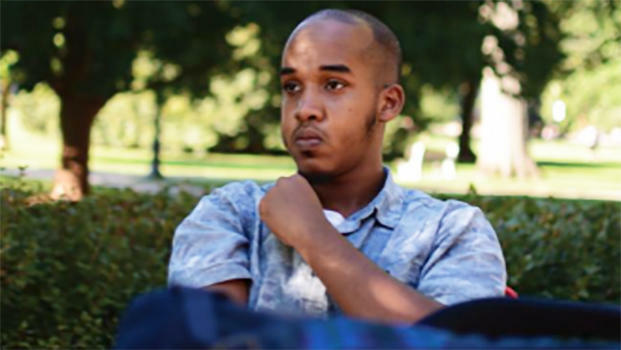 COLUMBUS, Ohio -- A Somali-born Ohio State University student plowed his car into a group of pedestrians on campus and then got out and began stabbing people with a butcher knife Monday before he was shot to death by a police officer. Eleven people were hurt, one critically. Wounded include faculty, graduate students, undergraduates, and staff, OSU said in a statement posted to its website. Police said they are investigating whether it was a terrorist attack. The attacker was identified as Abdul Razak Ali Artan. He was born in Somalia and was a legal permanent U.S. resident, according to a U.S. official who wasn’t authorized to discuss the case and spoke on condition of anonymity. The FBI joined the investigation. Artan was a new student at Ohio State University, CBS News has learned. Officials said he came to the U.S. with six family members in 2014 after fleeing Somalia and spending seven years in a refugee camp in Pakistan, reports CBS News homeland security correspondent Jeff Pegues. Artan attended community college in Columbus, Ohio, before transferring to OSU this year. On his first day in August, Artan was interviewed by the campus paper, The Lantern. He complained about what he believed was the media’s negative portrayal of Muslims. A law enforcement source told CBS News senior investigative producer Pat Milton that Artan had recently posted on Facebook that he was sick of the way Muslims were being treated everywhere. Ohio State Police Chief Craig Stone said that the assailant deliberately drove his small gray Honda over a curb outside an engineering classroom building and then began knifing people. A campus officer who happened to be nearby because of a gas leak arrived on the scene and shot the driver in less than a minute, Stone said. Law enforcement is investigating the incident as a likely terror attack. They have searched the car the suspect was driving as well as an apartment complex. CBS News’ Gilad Thaler interviewed several people who all said they knew Artan. A neighbor who lives next door said Artan was a nice guy who smiled a lot. The neighbor said she noticed him hanging around people she did not recognize from the neighborhood in the past week or so. An owner of home town market on the corner of Artan’s block said he would see Artan daily, and last saw him Sunday. He described him as a nice and smart guy. Terrorist groups like al Qaeda and ISIS have been encouraging supporters to carry out lone wolf attacks. These simple and hard to stop attacks are exactly what concerns police. Earlier this month, the FBI renewed its warnings to police agencies across the country about the potential for homegrown violent extremist activity targeting civilians in crowded venues. ISIS has urged sympathizers online to carry out “lone-wolf” attacks in their home countries with whatever weapons are available to them. In September, a 20-year-old Somali-American stabbed 10 people at a St. Cloud, Minnesota, shopping mall before being shot to death by an off-duty officer. Authorities said he asked some of his victims if they were Muslim. In the past few years, London and other cities abroad have also seen knife attacks blamed on extremists. Surveillance photos showed Artan in the car by himself just before the attack, but investigators were looking into whether anyone else was involved, the campus police chief said.